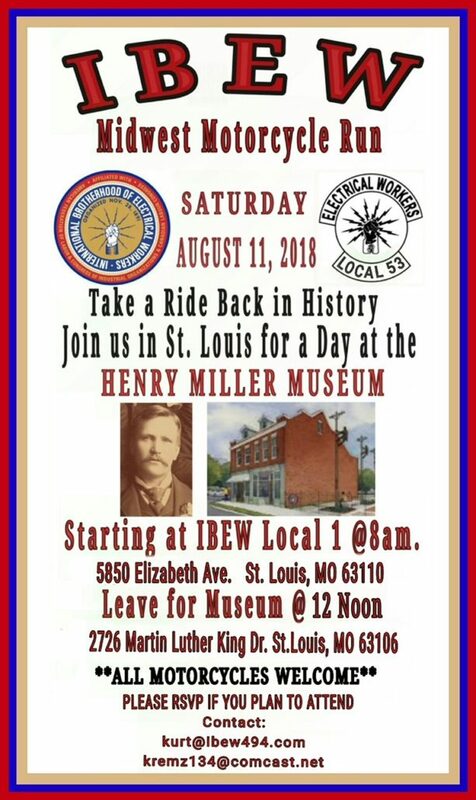 To some this will be the first notice, others this is a reminder, the Ride to the Henry Miller Museum in St. Louis, Missouri is on schedule. Read the attached flyer for more information. We have the Henry Miller Museum in St. Louis reserved for that day. Get the word out that August 11th is the date for the ride. Please pass this information along to any other locals in your area. Your participation will help to make this a great event for the Solidarity of IBEW.  Organized by, Various Locals and IBEW Members for IBEW Members. This ride is for all IBEW members who ride. Food and Lodging, How you get there, and how you get back are your responsibility. Contact Rich, from IBEW Local 134, kremz134@comcast.net or Kurt, from IBEW Local 494, kurt@ibew494.com , kurtjante494@gmail.com , by August 1st if you have plans to attend so we can get a count of how many riders to expect. Below are two hotels, Local 1 has recommended for your reservations. In Solidarity, Safe Riding, Hope to see you there.